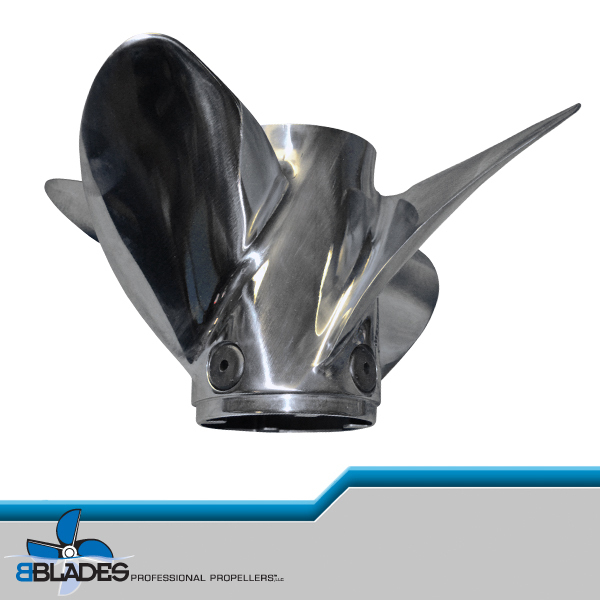 Boaters with sterndrives or higher horsepower outboards will be pleased to learn of the next entry in BBLADES Professional Propellers’ next generation of propeller technology: the BBLADES 5-SPEED™. 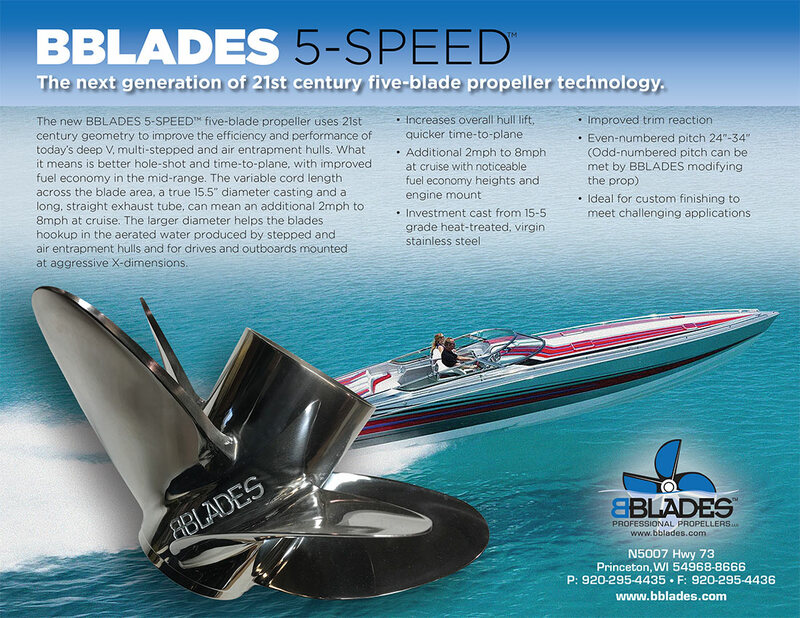 Evolved from the popular BBLADES’ 4-SPEED™ and 4-SPEED OB/FX™, the brand new 5-SPEED uses 21st century geometry to improve the efficiency and performance of today’s deep V, multi-stepped and air entrapment hulls. What it means is better hole-shot and time-to-plane, while improving fuel economy in the mid-range. The geometry of the 5-SPEED is key to the efficiency and performance; using variable cord length across the blade area, a true 15.5” diameter casting and a long, straight exhaust tube, resulting in an additional 2mph to 8mph at cruise with noticeable fuel economy boaters will experience their first time out on the water. Cord length is the distance between the leading and trailing edges of the blade. At the blade root – where it attaches to the hub – a long cord length helps get a boat on plane. On the other end, the blade tip, less surface area meeting the water is needed to maintain top speed, so a substantially reduced cord length delivers the most efficient performance throughout the RPM range. The extended exhaust tube increases overall hull lift and does not include the ‘flair’ common on similar propellers, meaning less drag. Less drag means better fuel economy and better top-end speed. If needed, BBLADES’ technicians can easily modify the tube to the exact length required for a specific application. The larger diameter of the casting help the blades hookup in the aerated water produced by stepped and air entrapment hulls. The same is true for drives and outboards mounted at aggressive X-dimensions. 1 piece investment cast from 15-5 grade virgin stainless steel, the BBLADES 5-SPEED is then perfectly balanced and heat treated with even-numbered pitch available from 24”-34”. Odd-numbered pitch requirements can be met by BBLADES modifying the prop. In fact, the overall geometry, larger diameter and additional strength make the 5-SPEED ideal for custom finishing to meet challenging applications. For example, the custom cupping and rake adjustments made by BBLADES aid in improved trim reaction, important for the increasingly popular “center of gravity forward” center console boats. 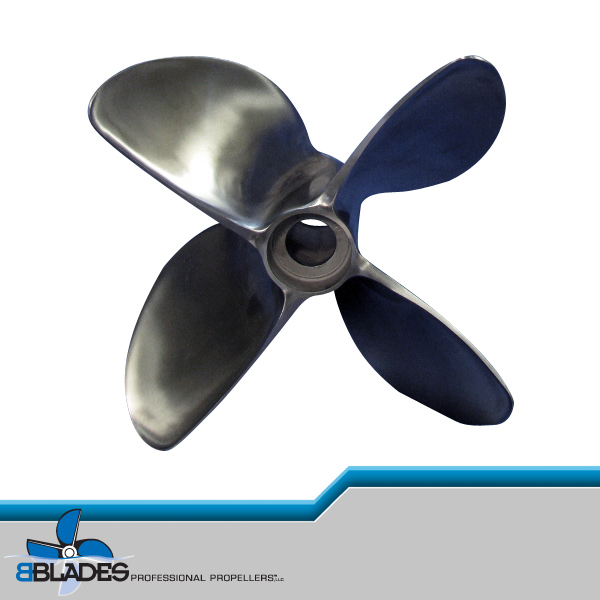 The new BBLADES 5-Speed is the latest in the BBLADES family propellers being developed to offer the broadest flexibility in matching purpose-designed propellers that are easily customizable within their performance parameters. 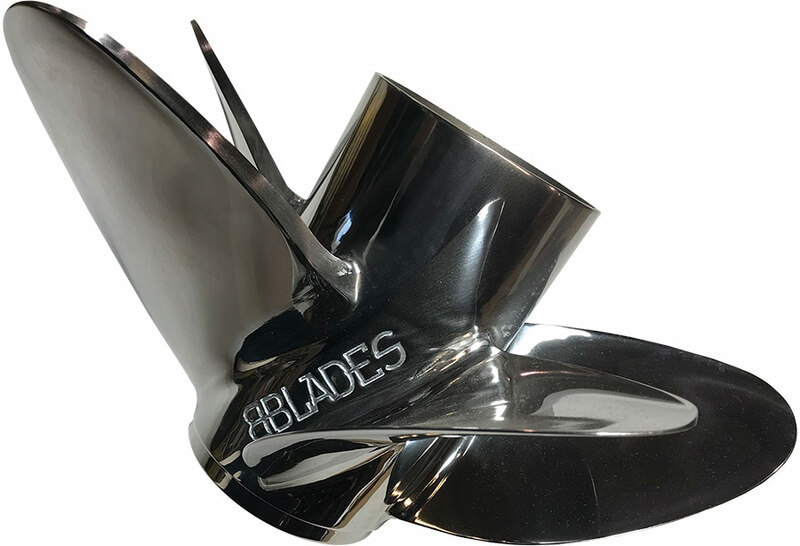 The BBLADES 5-SPEED can be demoed through the BBLADES Propeller Test Program and will be on display at the Miami International Boat Show February 15-19.